Ellen Ripley, the lead character of the Alien films, is one of the most iconic female heroes in cinema history. And today, during the celebration of the franchise of which she’s the star, her fans have been screwed over in an incredibly crappy way. Today is being hailed as “Alien Day” because April 26 (i.e. 4/26) matches the planet’s name in the first two films, LV-426. 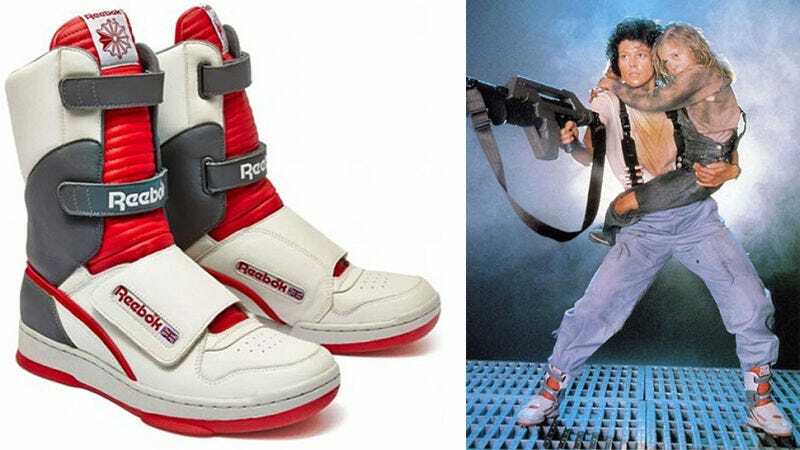 One of the most exciting promotions tied to “Alien Day” was Reebok’s decision to release a limited edition shoe based on the pair Ripley (played by Sigourney Weaver) wore in Aliens. The shoes, called “Alien Stompers,” went on sale at noon EST and all 426 available pairs quickly sold out. It’s a shame they didn’t make more shoes available, but that’s fine. What isn’t fine is the discovery that when the shoes went on sale, they were only available in men’s sizes 8-12. Yes, the shoes worn by one of the most famous female characters in movie history were only released in men’s sizes. As you can see there, the shoes were listed as “Men Classics,” which is a category on the Reebok website. The actual page is gone, because the shoes have sold out. Adding insult to injury, Monday the Reebok Classic Twitter account said only 36 pairs were actually available, which is insane considering the company had been promoting this for weeks. However, that may have just been the United States, because a Reebok representative said, “426 pairs were available worldwide, to honour planet LV426 in the film.” (A low-top version worn by Lance Henriksen’s character Bishop was also scheduled for release.) But that’s all besides the point. This is horrible—and it seems insane no one at Reebok recognized the problem here. Meanwhile, if you still want the shoes, you can get the kicks on eBay for buckets and buckets of cash. Dudes only. Update: Several hours after this article was originally posted, we were contacted again by Reebok. We were told the person who gave us the original quote “was not authorized to give a statement” and that this was the real statement. Currently we have not found evidence of the shoes being available in these smaller sizes, and have asked Reebok for additional information.